Fresh from Florida August Produce in season now. August is another slow month in the state of Florida when it comes to what fresh produce is in season. As the hot and rainy Florida weather starts to wind down the list of fresh Florida fruits and vegetables will get longer. There is always a few delicious fresh Florida fruits and vegetables available during the summer months. I can’t believe that August is almost over already! 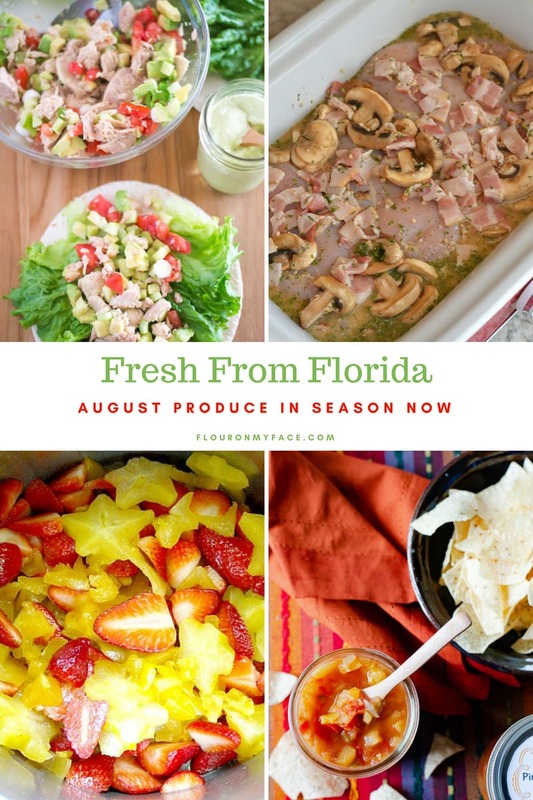 August may be a slow month on the Fresh from Florida produce aisle but it is a busy month packed full of birthdays, end of summer fun and our family getting ready for back to school. Fresh from Florida produce starts picking up in September when the weather starts to cool off just slightly. As we head into the fall and winter the list of fresh Florida produce grows. You see in the month of December how many more fresh fruits and vegetables are in season. Avocados: Avocados are still in season and has got to be one of the healthiest Fresh from Florida produce you can eat during the summer months. 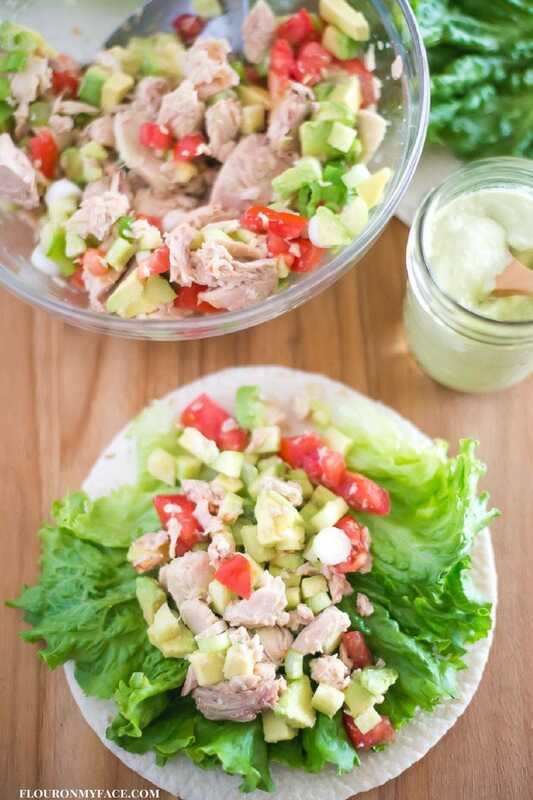 I love eating healthy Tuna Avocado Wraps. I love them so much that I eat them even when Florida avocados are not in season. Carambola: Carambola fruits are still in season and you can find them in the produce section near the tropical fruits. Guava: This fresh Guava Jam looks like a recipe I need to try this summer! Longan: This Longan Raw Cheesecake is beautiful. Mango: I love making Mango salsa recipes. This Chunky Pineapple Mango salsa is one of my favorites. Mushrooms: Fresh mushrooms are another healthy fresh from Florida produce that Crock Pot Chicken Marsala is packed full of mushrooms. Passion Fruit: This Raspberry and Passion Fruit Dutch Baby is an interesting way to serve fresh passion fruit. Peanuts: I use raw peanuts to make this Old Fashioned Caramel Corn recipe that is a blast from my childhood.